This course is designed for the climber who knows the basic technical skills of leading sport climbs and is looking to learn tools to face the mental and technical barriers of feeling comfortable to “go for it” while leading climbs outside. While rock climbing is largely a physical activity, we often get held back from performing how we want to by our active minds. Even when we are physically capable of completing a climb, perceived limitations, doubts, and negative self-talk creep in and convince us otherwise. During this weekend students will build awareness of personal blocks and learn tools and techniques to face fears and performance inhibitors and move through them, both on and off the wall. Climber Requirements: Prior to this course you must know how to lead belay, have experience leading at least 15 sport routes (any grade), and be able to lead a 5.8 sport route without taking or falling. Camp together at Skull Hollow! Becca’s enthusiasm for sharing her love of rock climbing is contagious. Her dedication to personal growth and community connection bring a unique and valuable flavor to her technical skills and practice-based climbing courses. Becca has been climbing rocks for over a decade and has developed a well rounded expertise in bouldering, sport climbing, traditional climbing and multi-pitch climbing. Becca has instructed, guided, and facilitated climbing in groups of all women in gyms, at climbing festivals and locally in Boulder, CO, outside with Women’s Wilderness since 2015. A friend introduced Becca to bouldering in 2009 when she was a student in Boulder, Colorado. She was sold on climbing through her first climbing trip to Bishop, CA. 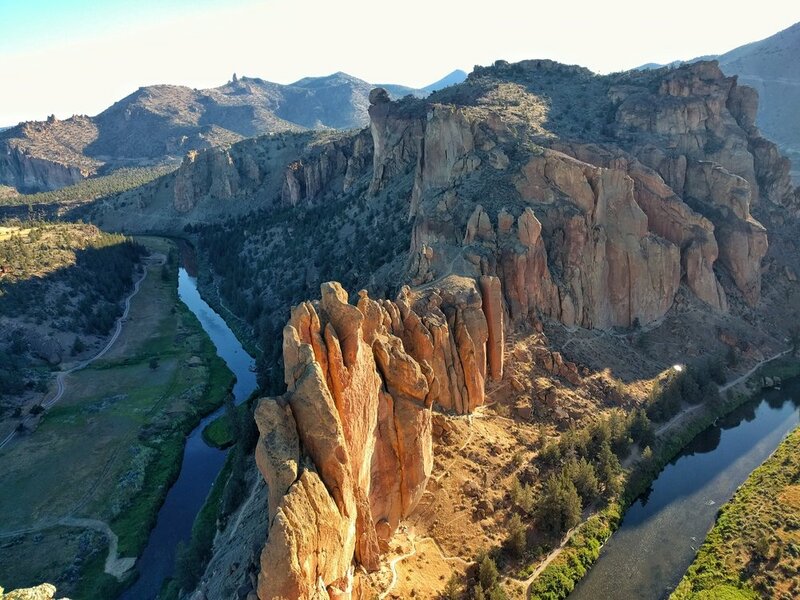 The camaraderie of the climbing community, camping with friends and spending the day outside balanced between resting and trying hard and facing fear on highball boulders drew her in. After graduating from Warren Wilson College near Asheville, NC in 2014 with a degree in Outdoor Leadership, Becca moved back to Boulder to work at Women’s Wilderness where she currently instructs climbing. Mentors and psyched friends/climbing partners have played a big part in Becca’s development as an instructor and climber. Becca is currently in the process of projecting the most difficult multi-pitch she has tried yet, The Moonlight Buttress 5.12d in Zion. She is enjoying the challenging process of projecting a mini-bigwall traditional route and all that comes with it. Over the last few years, Becca has found an increased sense of fulfillment in attempting big projects with fellow lady crushers. 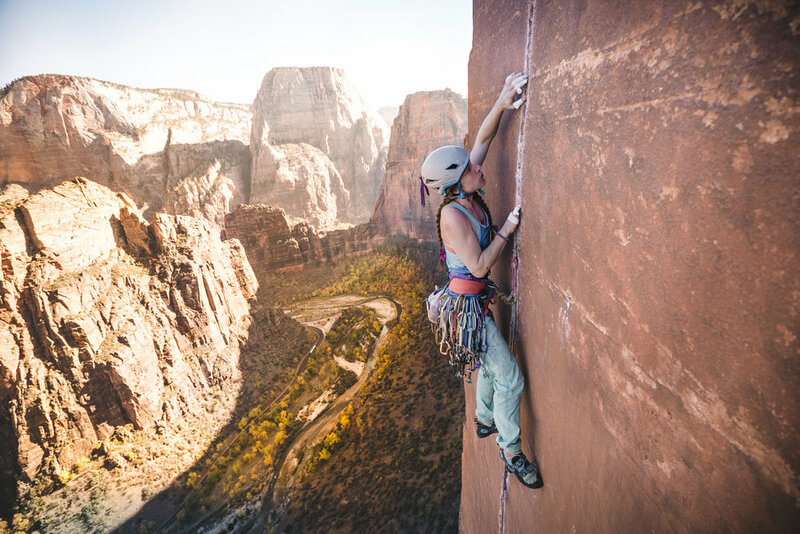 She hopes to create environments where women can find climbing partners to grow with, share adventures with and get those dream trips on the calendar. Various Grade IV and V multi pitch climbs in a day in Black Canyon of Gunnison, Yosemite National Park, on The Diamond on Long’s Peak and in Red Rocks, Nevada. Free climb Moonlight Buttress in Zion 12d (project still in progress). Attempted over ten multi-pitch routes in the 12a to 12d grade range. Onsight of the Naked Edge in Eldorado Canyon. Lodging: Campsites will be reserved so the group can connect in the evening. Please bring lots of water (the campsite may not have water) and your own snacks and food for the day. Climber Requirements: Lead belay experience; able to lead 5.8 sport climbs, have experience leading and belaying at least 15 sport routes (any grade). Inclusions: Included in the course cost is all climbing gear, climbing permits, camping fee, and the guide fee. Exclusions: Not included in the course cost is a day pass at the Bend Rock Gym, gratuities to guide, transportation, meals, or travel insurance.